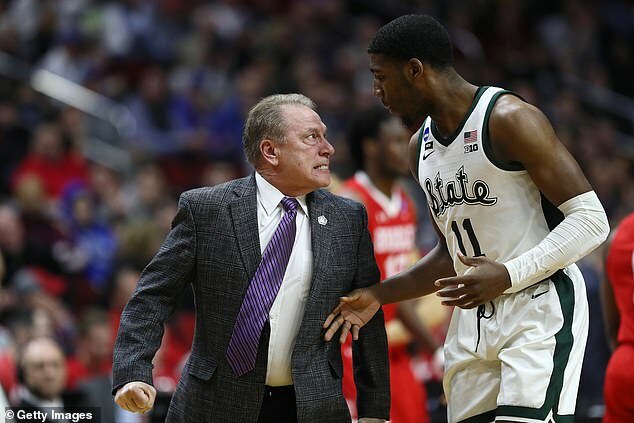 Michigan State basketball coach Tom Izzo had to be restrained by his own players during the first round of the NCAA Tournament on Thursday as he eviscerated a 19-year-old freshman during a timeout. 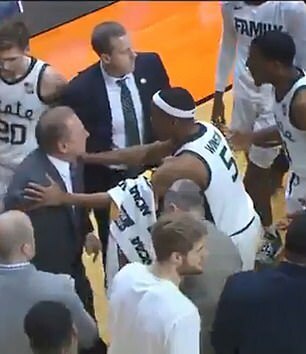 Immediately after the time out was whistled, Izzo charged onto the court and tapped Henry in the stomach before jabbing his finger in the 6foot6 guard’s face. 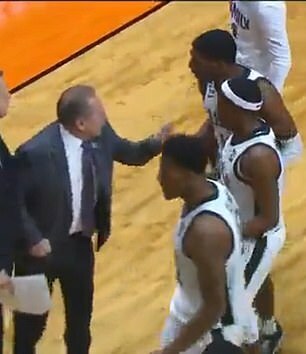 Guard Cassius Winston attempted to intervene and appeared to calm down Izzo somewhat. 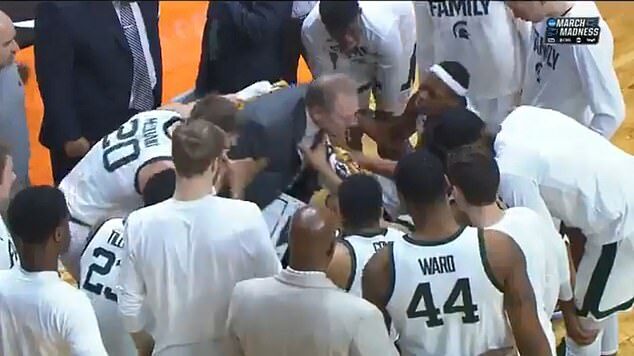 As many as four players pulled Izzo back as he jumped out of his chair in Henry’s direction. When asked about it afterwards, Izzo tried to relate to the reporters at his press conference. 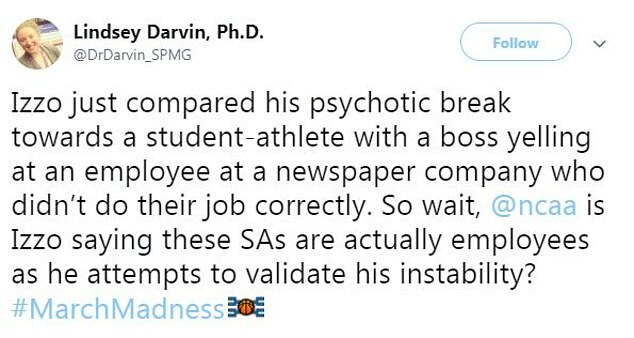 Izzo’s analogy was immediately criticized on Twitter because it contradicted the NCAA’s controversial definition of a student athlete. 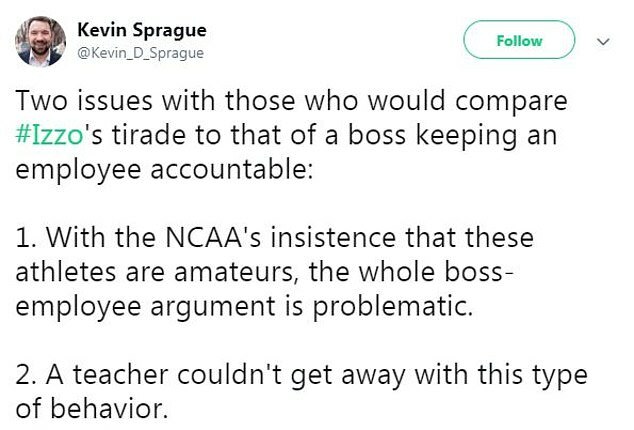 The collegiate sports governing body prohibits players from being paid because they are not employees, but rather students first. Critics have argued that NCAA basketball players are effectively unpaid employees in a billion dollar industry. 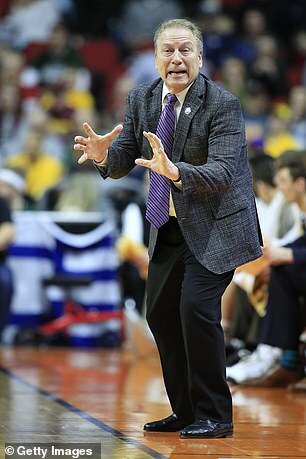 Including the bonuses he makes from Nike, Izzo is earning $4.1 million this year, according to USA Today. Only two coaches – Kentucky’s John Calipari ($9.2 million) and Duke’s Mike Krzyzewski ($7 million) – will more than Izzo this year. But while some may not have appreciated Izzo’s explanation or the tirade itself, Henry was understanding after Thursday’s win. ‘You know he’s going to chew you out when he calls you over there — there’s nothing you can do now,’ he told reporters. ‘Just responding to it is accepting the coaching and not having a pity-party for yourself and just being a basketball player and go respond. Henry had been struggling, making just 3 of 7 field goals and missing a wide-open dunk when the Spartans held only a one-point lead. Still, even Izzo acknowledged that Henry ‘responded’ with improved effort over the remainder of the game. The Spartans face their Big 10 rival Minnesota on Saturday.